Cancellations must be made by 12:00 the day priero to check in or guests will be charged for the first night's stay. No shows will be charged the first night's stay. 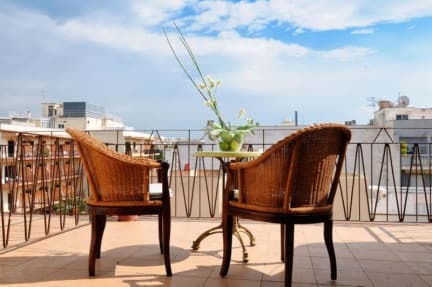 The hotel is great value for both tourists and business travelers as it is located only 50 meters from the beach and 6 km from downtown Palma. We are family-run establishment allowing us to give personalized attention to our clients. Our rooms were recently remodeled in 2009 to enhance the comfort of our guests. 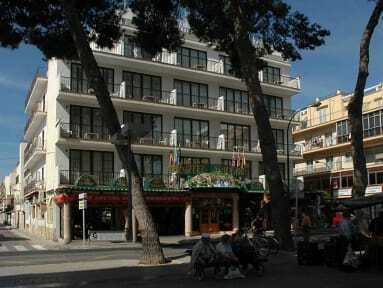 The Hotel Balear has its own restaurant, serving a generous breakfast buffet daily. All 54 rooms are equipped with a telephone, air conditioning, central heating and safety deposit box. The majority of our rooms have a terrace overlooking the plaza or sea. All rooms offer Internet access via WiFi and cable for guests with laptops. For guests traveling without a laptop, we offer Internet access in reception as well as other business services.